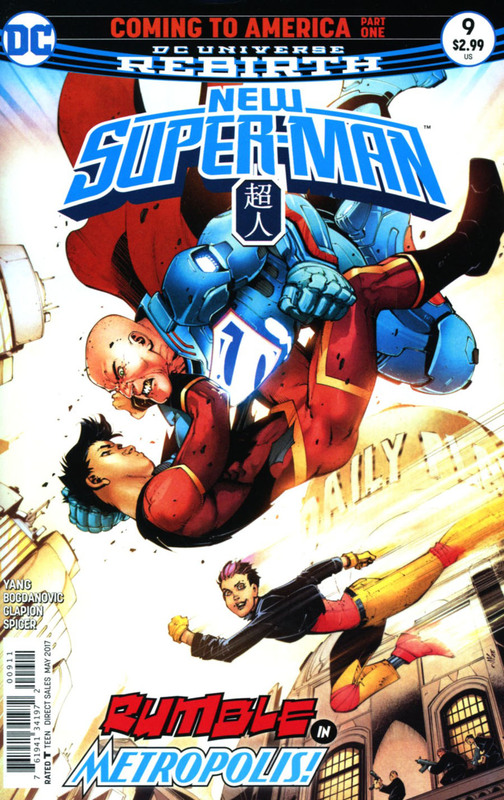 Lex Luthor brings Kenan and Master I-Ching to America. Baixi and Deilan work to find more information regarding Kenan's mother. Kenan unwittingly opens a gateway to hell. Story - 4: I enjoyed this issue quite a bit. This title is starting to feel more like it is part of the DC Universe instead of like an isolated story. Lex Luthor makes a return to the title and it's much welcomed. Yang writes Lex well. He's smug, self-assured, manipulative, and does just the right level of schmoozing to throw people off of his trail. Kenan continues to have moments of selfishness, pride, and shortsightedness. The moment in which he decided to open the door spoke volumes about his character. Here is a kid with the potential to be a Superman. He has the ability within him, but it will take time to master the powers. Kenan could either spend countless months unlocking his abilities or gain them all in one fell swoop by opening a portal. Here's where I must commend Yang. It would have been easy to write Kenan resisting the temptation to get his powers and avenge his mother. Instead, Yang has Kenan give into his impulsive nature and act hastily. Yang is setting up an opportunity for Kenan to learn a lesson while also moving the story along. At the end of the day, Kenan is not the same character as Clark. He won't make the same moral and logical decisions that Clark would. It makes for a more unpredictable read. If I had to complain about something, it would probably be the Baixi and Deilan scene. It doesn't seem to have much impact on the story and nothing is revealed. If a sequence has no purpose, it likely shouldn't be in the final draft. However, I'm sure Yang will do something with that thread in the next issue. Art - 3: Readers of my reviews know that I am a fan of Bogdanovic's work. He does a fantastic job giving this title its own visual texture. That being said, I do not care for his interpretation of Lex Luthor. Lex looks like he was drawn by a Michael Turner wannabe. It isn't entirely awful, but it isn't very good, either. Everything else in the book looks fine. The buildings of Metropolis were absolutely stunning to look at. 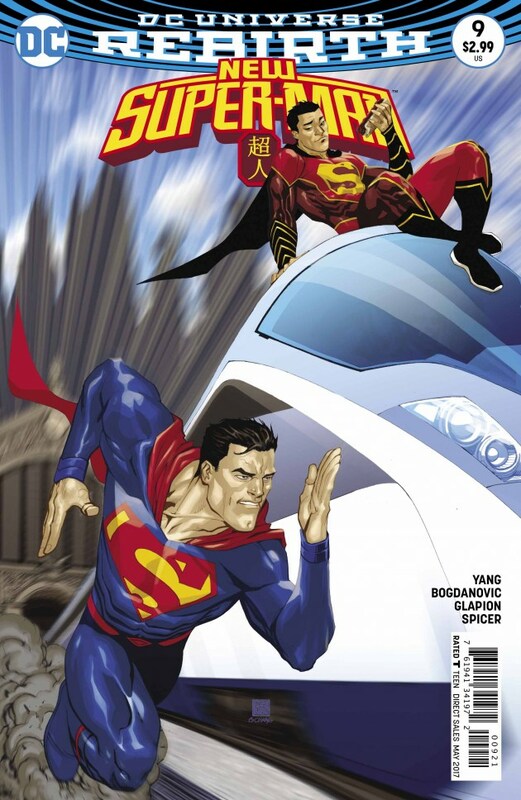 Cover Art - 3: I still can't get behind this Lex. I do like the layout of the cover, though. It is visually interesting, but I think The Flash of China should have been left off of the cover. Is she flying? Jumping? What is she running on? Variant Cover Art - 3: I can't say I like this cover any better than the standard version. It's drawn well and colored beautifully, but I have no desire to go purchase it.